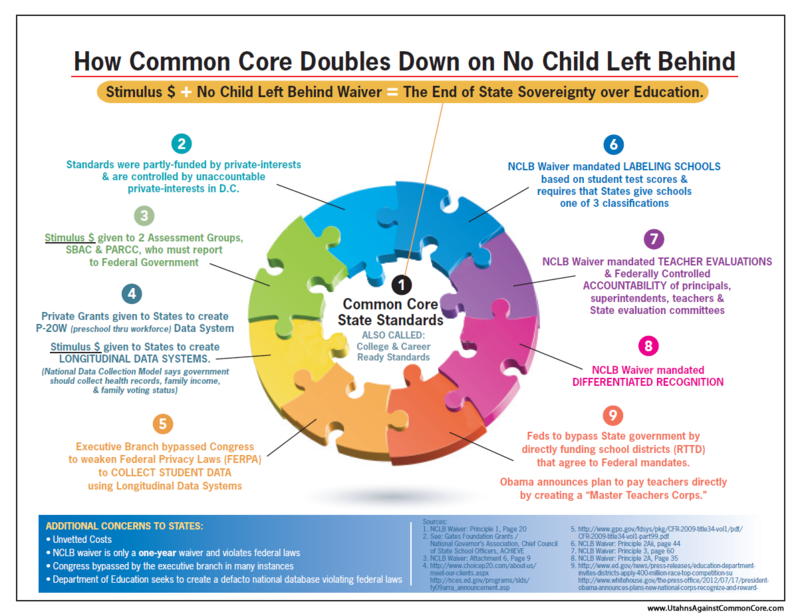 Missouri Education Watchdog: How to Sustain a Nationalized Educational System. Turn it Over to 501(c)(3) Groups for Outsourcing. How to Sustain a Nationalized Educational System. Turn it Over to 501(c)(3) Groups for Outsourcing. Outsourcing: Outsourcing is any task, operation, job or process that could be performed by employees within an organization, but is instead contracted to a third party for a significant period of time. In addition, the functions that are performed by the third party can be performed on-site or off-site. The two private trade organizations The National Governors Association (NGA) and Council of Chief State School Officers (CCSSO) sure had a nifty plan to nationalize education. Get states to "voluntarily" sign up to relinquish their constitutional authority to develop and deliver education for their citizens in exchange for two consortia controlling state educational programs. "Voluntarily" refers to the dangling of money to states competing for Race to the Top, but when some states still didn't compete for or win grants, the ESEA waivers included states having to commit to CCSS. The two consortia (PARCC and Smarter Balanced Assessment Consortia) have been funded by stimulus money which runs out in 2014. The Tampa Bay Times writes that the Common Core deadlines won't be met regarding assessment completion, computers and infrastructure requirements, and how to pay for the mandates. Twenty million students are expected to take the SBAC assessments on-line. There needs to be technical and professional support for this system going forward. Both SBAC and PARCC were funded with seed money from TARP. This money will run out September 30, 2014. Any remaining unused funds will revert to the US Treasury. Both consortia must now figure out how to make the assessments sustainable by finding other funding sources. The first RFP for a consultant to take on this work received zero bids because SBAC had grossly underestimated the effort needed to do the work. They are now looking to identify areas of commonality with the other assessment consortia, PARCC, and see if the two groups can share a consultant on those common points. It is not a stretch to see that these two groups are probably going to have to combine in the future in order to remain sustainable. Then we will truly have national standards. The plan is to go to private foundations to fund Phase 2. The two big groups of states that are designing tests for the common standards have a lot more on their minds than the thorny work of test design. They're trying to figure out how they can survive once their federal funding runs out in the fall of 2014, before the tests are even administered. One sign of this focus cropped up when PARCC announced that it had reorganized itself as a 501(c)(3) nonprofit. This move facilitates the receipt of foundation funding, among other things, something that has been under consideration as a mode of survival once the group runs out of federal money. As we've reported to you, PARCC and the Smarter Balanced Assessment Consortium have teamed up to do some thinking about sustainability. They've got a heavy-hitting consulting firm working on sustainability plans, and the National Governors Association and the Council of Chief State School Officers—the folks who spearheaded the common-standards drive four years ago—are playing roles as well. Who will be in control of the standards? Who will be designing the assessments? Will voters have any say in who is educating their children? Could billionaires with an agenda (pick your side, left or right) organize a nonprofit to deliver the type of education they believe students should learn? The sustainability question is key to the long-term work and goals of the consortia. Right now, no one really knows who will update the tests, for instance, as secure item pools dwindle. The research agenda is in question, too, and that's pretty huge. Without a multiyear inquiry into how students at various cut scores actually perform in college, it's tough to validate the test as being a sound proxy of college readiness. These—and many more—questions ride on the question of sustainability. There is a near-term question of sustainability, as well. The groups are mindful that in order to protect the $360 million in federal funding they won, they each need to have at least 15 member states. With 24 in SBAC and 22 in PARCC right now, that doesn't seem to be a looming issue. But if enough states get skittish and drop out, federal officials could—according to their own regulations—cut off the funding that is meant to carry the consortia's work through the fall of 2014. 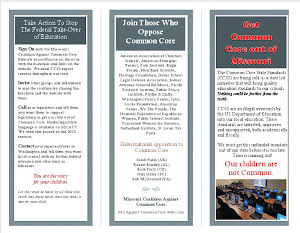 Count many folks in Missouri becoming more and more skittish of CCSS standards that were never field tested or even written before they were adopted by the governor, education commissioner and State Board of Education members. Now that taxpayers know of the plans of these two private trade organizations to nationalize education, do you think they will still want their tax money used for copyrighted standards by non-profit organizations? Isn't education development and delivery the role of the states and local school districts? 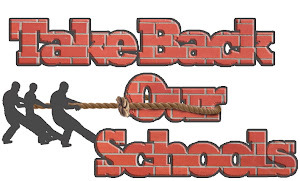 Why is education now outsourced to private consortia and in the future, 501(c)(3) groups? Looks like the next Fanny and Freddie to me. Awesome post. Please keep 'em coming on Common Core.